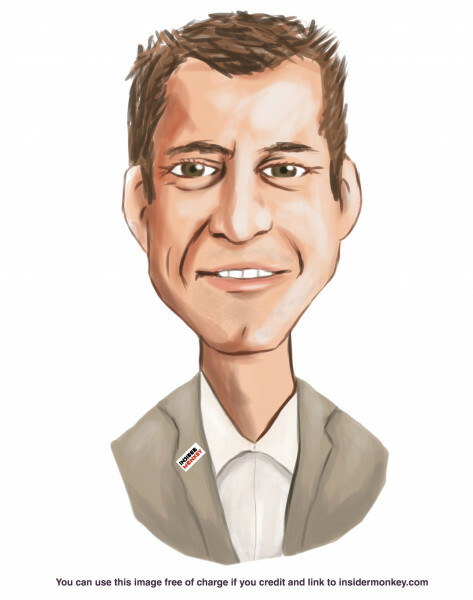 Where Hedge Funds Right About Flocking Into CBRE Group, Inc. (CBRE) ? Is CBRE Group, Inc. (NYSE:CBRE) a good place to invest some of your money right now? We can gain invaluable insight to help us answer that question by studying the investment trends of top investors, who employ world-class Ivy League graduates, who are given immense resources and industry contacts to put their financial expertise to work. The top picks of these firms have historically outperformed the market when we account for known risk factors, making them very valuable investment ideas. Is CBRE Group, Inc. (NYSE:CBRE) undervalued? The smart money is betting on the stock. The number of long hedge fund positions moved up by 5 lately. Our calculations also showed that CBRE isn’t among the 30 most popular stocks among hedge funds. CBRE was in 34 hedge funds’ portfolios at the end of the fourth quarter of 2018. 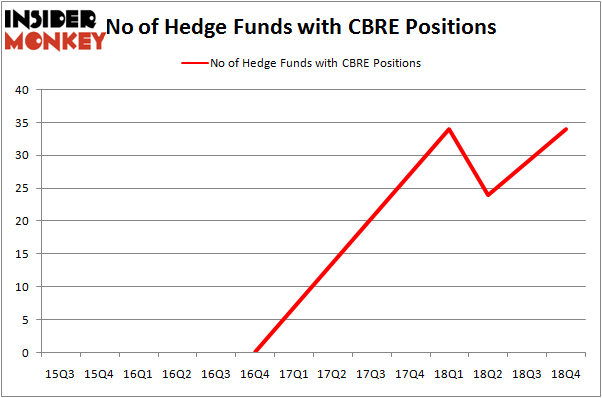 There were 29 hedge funds in our database with CBRE positions at the end of the previous quarter. Let’s take a look at the fresh hedge fund action regarding CBRE Group, Inc. (NYSE:CBRE). How have hedgies been trading CBRE Group, Inc. (NYSE:CBRE)? At Q4’s end, a total of 34 of the hedge funds tracked by Insider Monkey held long positions in this stock, a change of 17% from the second quarter of 2018. By comparison, 34 hedge funds held shares or bullish call options in CBRE a year ago. So, let’s check out which hedge funds were among the top holders of the stock and which hedge funds were making big moves. According to Insider Monkey’s hedge fund database, Jeffrey Ubben’s ValueAct Capital has the number one position in CBRE Group, Inc. (NYSE:CBRE), worth close to $797.7 million, comprising 9.9% of its total 13F portfolio. On ValueAct Capital’s heels is William von Mueffling of Cantillon Capital Management, with a $284.9 million position; 3.4% of its 13F portfolio is allocated to the company. Remaining members of the smart money with similar optimism encompass John W. Rogers’s Ariel Investments, Ken Griffin’s Citadel Investment Group and Ken Heebner’s Capital Growth Management. With a general bullishness amongst the heavyweights, key money managers have jumped into CBRE Group, Inc. (NYSE:CBRE) headfirst. Capital Growth Management, managed by Ken Heebner, created the most outsized position in CBRE Group, Inc. (NYSE:CBRE). Capital Growth Management had $36 million invested in the company at the end of the quarter. Paul Marshall and Ian Wace’s Marshall Wace LLP also initiated a $18.4 million position during the quarter. The following funds were also among the new CBRE investors: Steve Cohen’s Point72 Asset Management, John Overdeck and David Siegel’s Two Sigma Advisors, and Michael Platt and William Reeves’s BlueCrest Capital Mgmt..
Let’s also examine hedge fund activity in other stocks similar to CBRE Group, Inc. (NYSE:CBRE). We will take a look at Shopify Inc (NYSE:SHOP), Arthur J. Gallagher & Co. (NYSE:AJG), Incyte Corporation (NASDAQ:INCY), and Nasdaq, Inc. (NASDAQ:NDAQ). This group of stocks’ market values match CBRE’s market value. As you can see these stocks had an average of 26.5 hedge funds with bullish positions and the average amount invested in these stocks was $1145 million. That figure was $1381 million in CBRE’s case. Incyte Corporation (NASDAQ:INCY) is the most popular stock in this table. On the other hand Nasdaq, Inc. (NASDAQ:NDAQ) is the least popular one with only 21 bullish hedge fund positions. CBRE Group, Inc. (NYSE:CBRE) is not the most popular stock in this group but hedge fund interest is still above average. This is a slightly positive signal but we’d rather spend our time researching stocks that hedge funds are piling on. Our calculations showed that top 15 most popular stocks among hedge funds returned 19.7% through March 15th and outperformed the S&P 500 ETF (SPY) by 6.6 percentage points. Hedge funds were also right about betting on CBRE as the stock returned 26.5% and outperformed the market as well. Here’s What Hedge Funds Think About Cheniere Energy, Inc. (LNG) Here’s What Hedge Funds Think About Total System Services, Inc. (TSS) Here is What Hedge Funds Think About American Airlines Group Inc (AAL) Here’s What Hedge Funds Think About ABIOMED, Inc. (ABMD) Did Hedge Funds Drop The Ball On Markel Corporation (MKL) ? Did Hedge Funds Drop The Ball On Plains All American Pipeline, L.P. (PAA) ?